What happens when you make too much buttercream? Well, if you’re me, then you just eat the rest. Ok, that’s really not a good idea, but I’m just being honest. 😉 Well, it really is possible to freeze leftover buttercream. There are also a ton of options for using leftover icing as well. 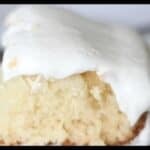 In this post, I’ll go over freezing buttercream plus what to do with leftover icing. 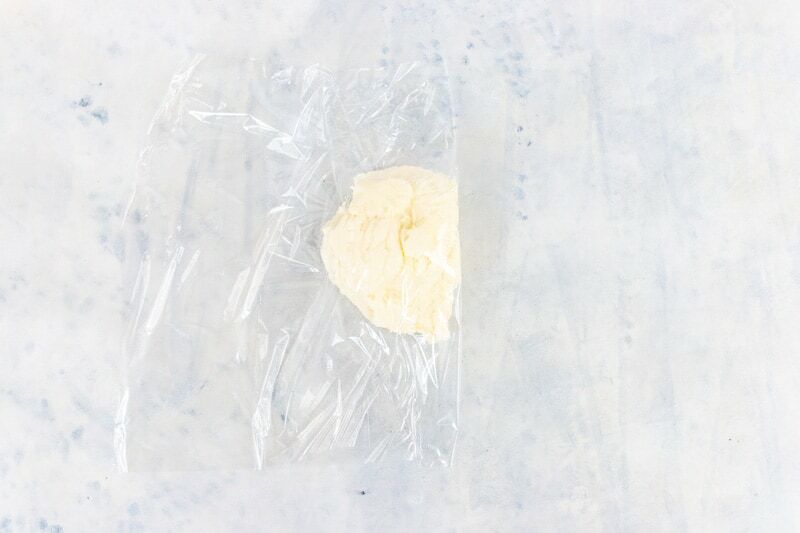 First let’s go over freezing buttercream. 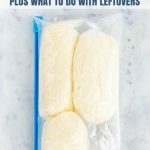 You can either freeze your leftovers, or just make your buttercream ahead of time and freeze it…that way, when you’re ready to use it, you can just thaw it on the counter and it’s ready. Now, I’m referring to freezing American Buttercream, which is the buttercream made with either butter or shortening and confectioners sugar. It may be possible to freeze leftover Swiss Meringue frosting this way, but it may change the texture, since that type of buttercream is actually made with egg whites. You may not like the results you get with freezing that type…I’m not an expert in Swiss Meringue, since I mostly stick with American Buttercream. First you just want to lay down a piece of plastic wrap. 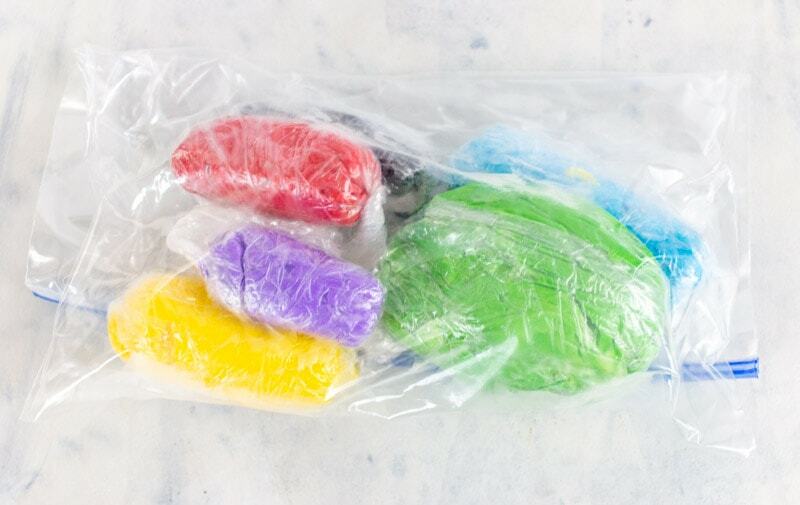 Now if you’ve read some of my other posts, you probably know that I have an obsession with Glad Press-n-Seal (just check out my post on freezing cakes), but for this tutorial, it works better with regular plastic wrap. Once you lay down a square of it, just drop a couple blobs of buttercream on top. Yeah I know the word ‘blob’ isn’t really a measurement. You don’t need to measure here. Just plop down about a cup or cup and a half. You’re going to freeze small amounts at a time…it’s easier that way and you can just pull out what you need. 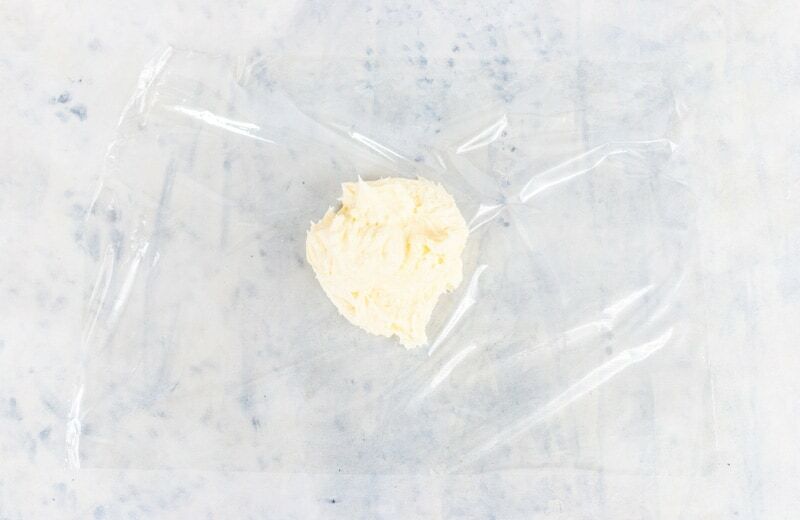 Now you want to fold your plastic wrap over the buttercream. Now just roll it up in the plastic wrap. Keep rolling until it’s all rolled up and then pinch the ends of the plastic wrap. It’s helpful to even twist the ends of the plastic wrap to give it a good seal. 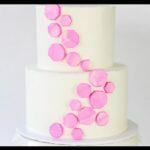 Then I like to tuck the ends under the buttercream. 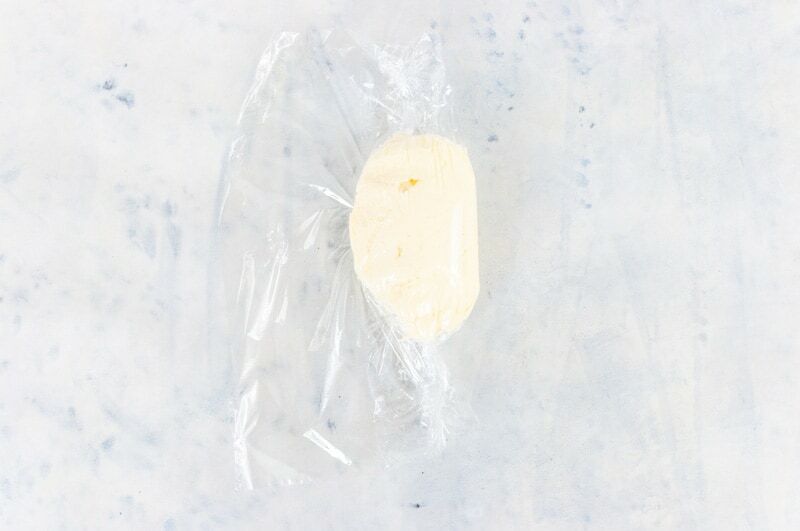 Now just do this until you’ve wrapped all your leftover buttercream. 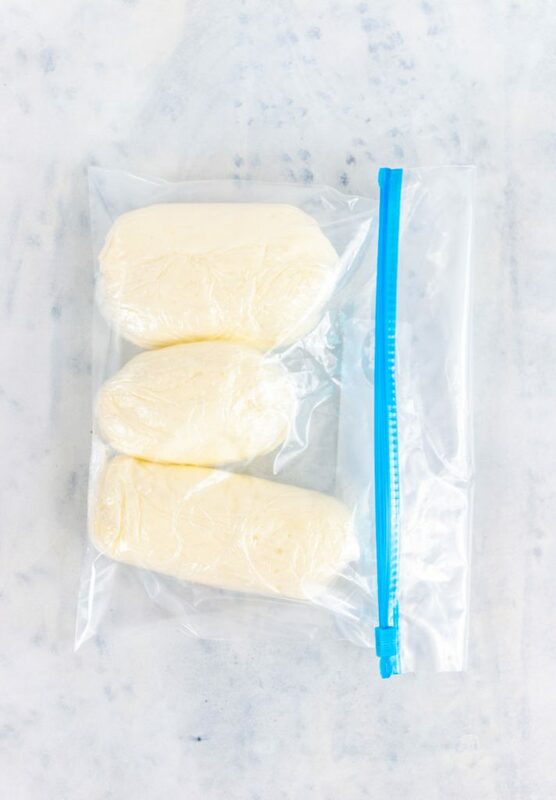 You can then just pop them into a freezer ziplock bag, squeeze as much air out as you can, label the bag and then pop them in the freezer. 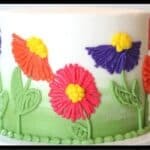 I especially love freezing small amounts of colored buttercream…that way, when I just need a small amount of that color for perhaps some flowers, I don’t have to make it. 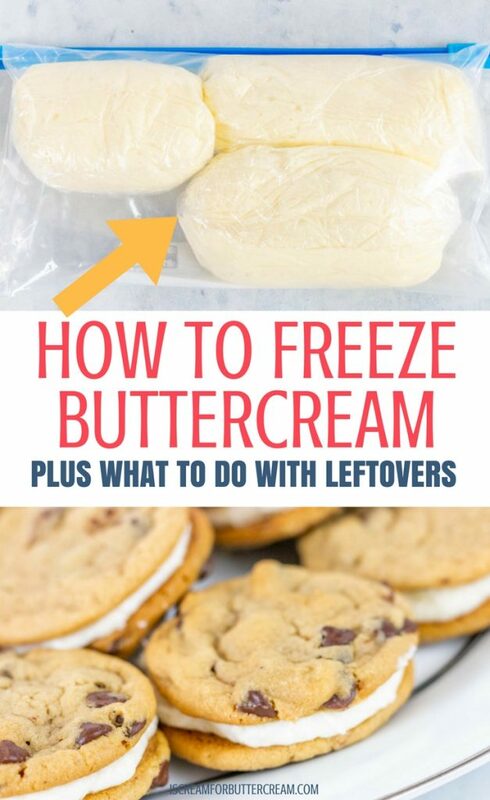 The buttercream should be fine frozen for two to three months. 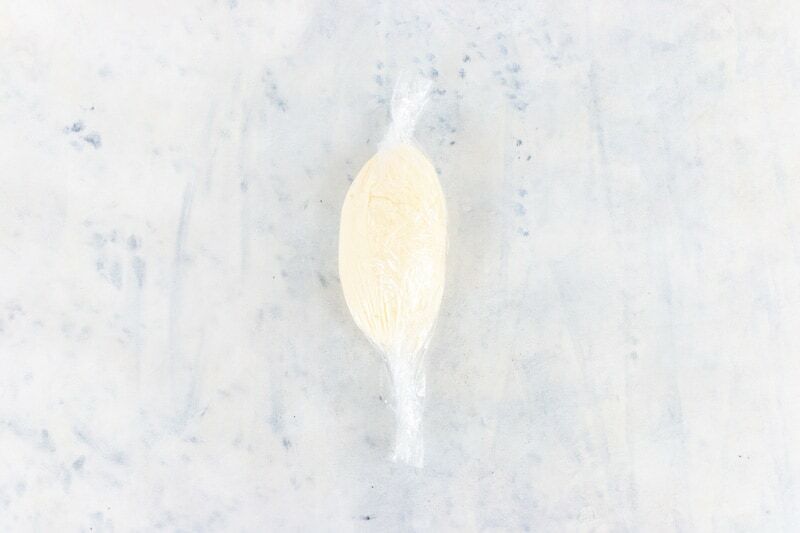 When you get ready to use it, just pull it out of the freezer, unwrap it and pop it in a bowl. Cover bowl with plastic wrap, or my favorite press-n-seal wrap, and then just let it defrost on the counter. Stir it or re-whip it and you’re good to go! Ok, now let’s talk about ways to use leftover icing. 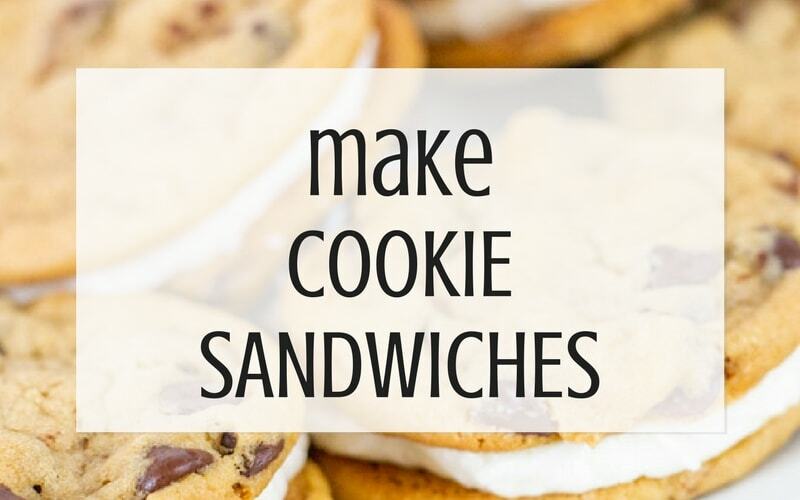 Make homemade cookies or grab yourself some premade cookie dough like I did, bake, add buttercream and another cookie. So good! 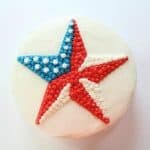 You can add a bit more milk or cream to your buttercream icing and thin it down just a little, or just heat your buttercream up a bit in the microwave. 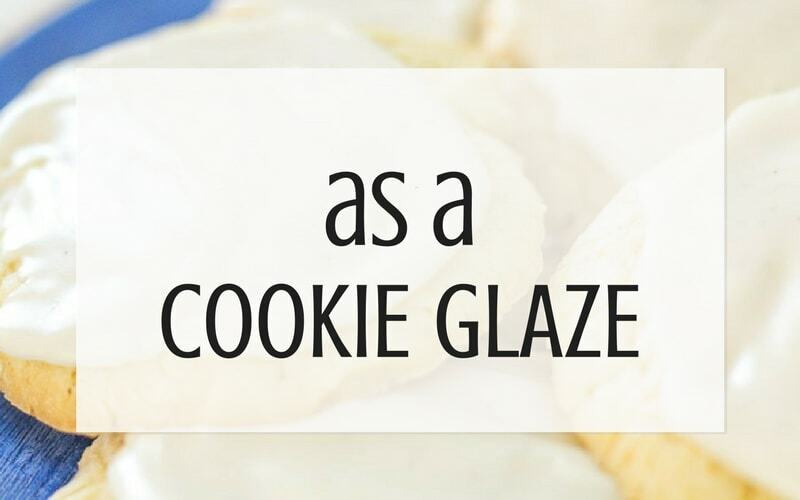 You can either spread it on sugar cookies, or just dunk the top of the cookies into the icing glaze. 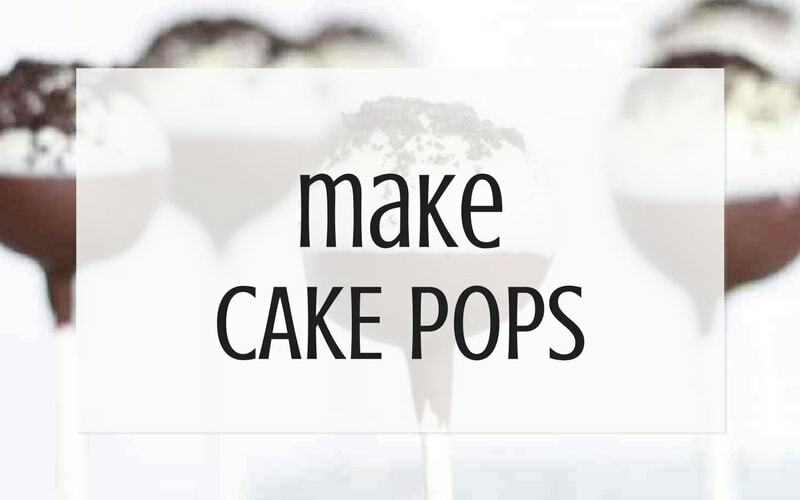 A list of using leftover buttercream, wouldn’t be complete without the suggestion of making cake pops. Here’s my recipe for cookies & cream cake pops…cuz everything’s better with Oreos, right? Yes, I know that cinnamon rolls usually come with that little container of icing, but seriously…is that ever enough? Well, it’s not for me and I always want more. So, here’s your chance to really spice up those cinnamon rolls. 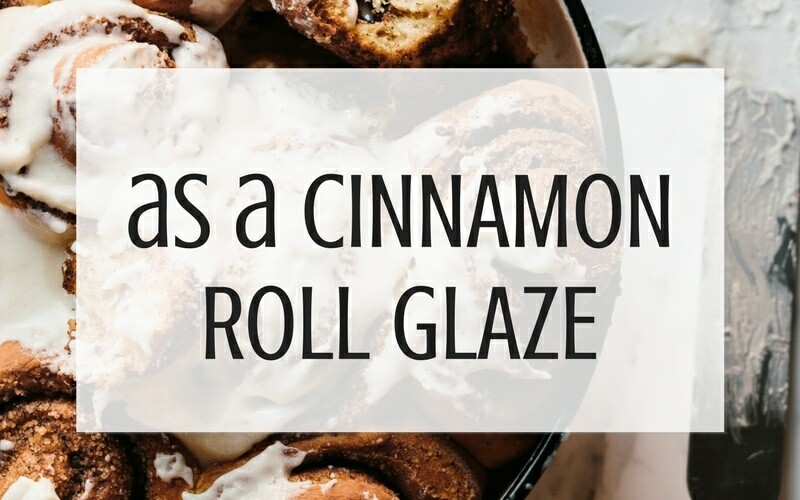 Grab your leftover buttercream, add a touch of cinnamon to it, heat it up, just slightly, and drizzle it over your cinnamon rolls. Yum! Yum! I think this works better when you’ve got leftover chocolate buttercream, but if you’ve onto got vanilla, just add in some cocoa powder or some melted chocolate chips. 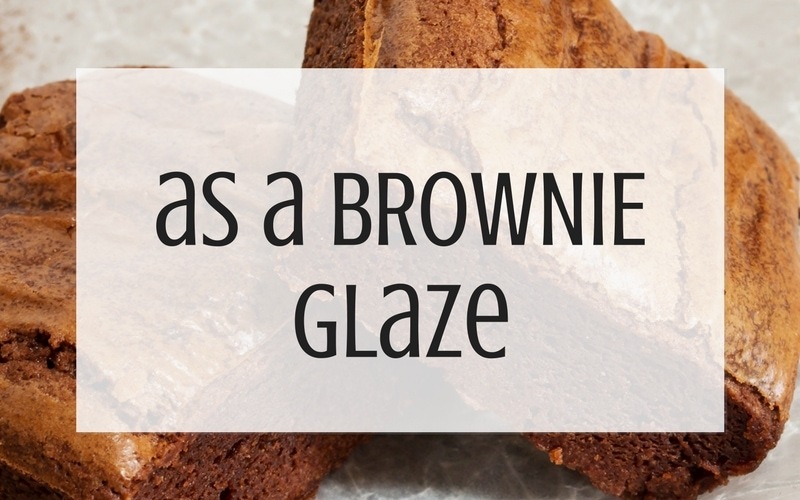 You can either spread it onto the top of your brownies as it is, or heat it up a bit and then just drizzle your brownies. 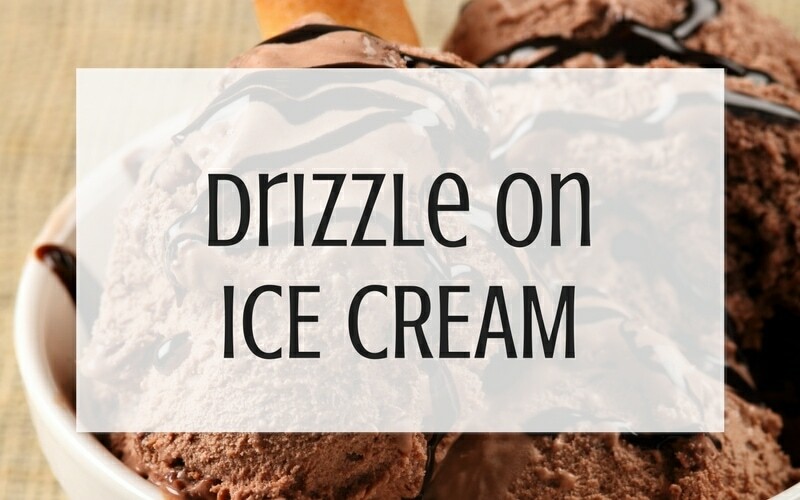 Grab your leftover chocolate buttercream, heat it up slightly, then drizzle over vanilla, chocolate, or just about any kind of ice cream you want. What’s also good is to add a small amount of cinnamon to leftover vanilla buttercream, heat it just a bit and then drizzle over vanilla ice cream. 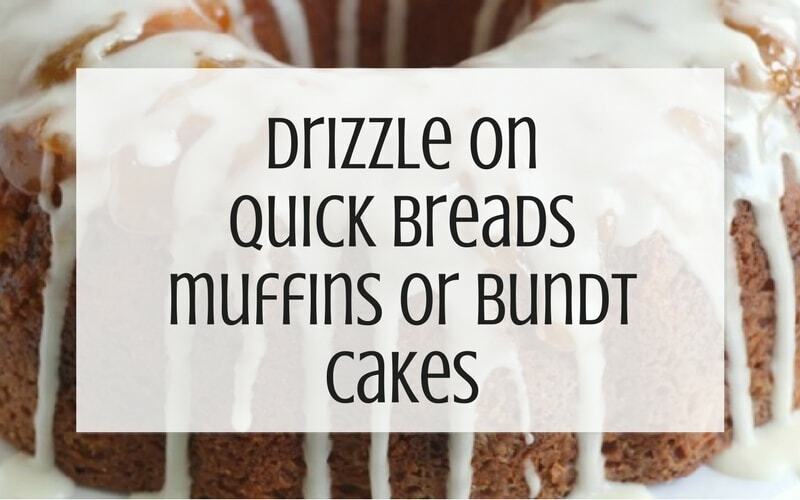 On those cakes that don’t need a huge amount of frosting, like quick breads, muffins, or bundt cakes, drizzling them with leftover buttercream is the perfect solution. Either heat up the buttercream a bit, or just thin it with a small amount of milk or cream and then drizzle to your heart’s content. 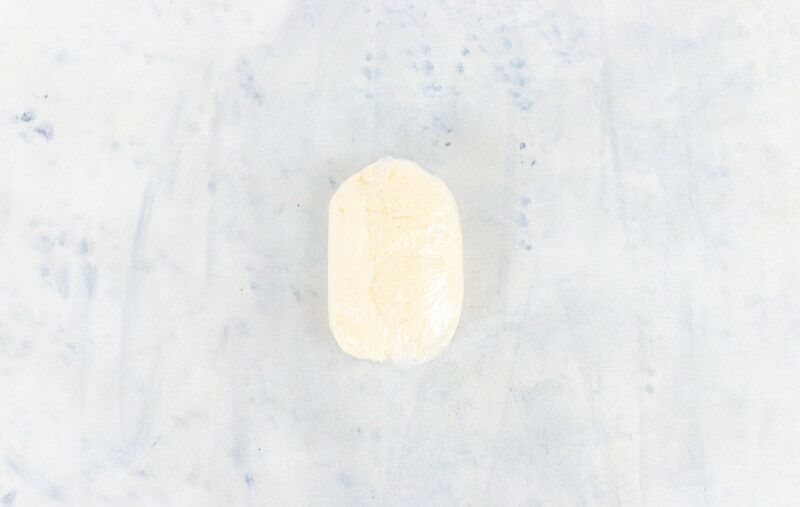 You can also add a teaspoon or two of corn syrup so it’ll give it a really nice shine and it’ll help it firm up a bit. I LOVE doing this. 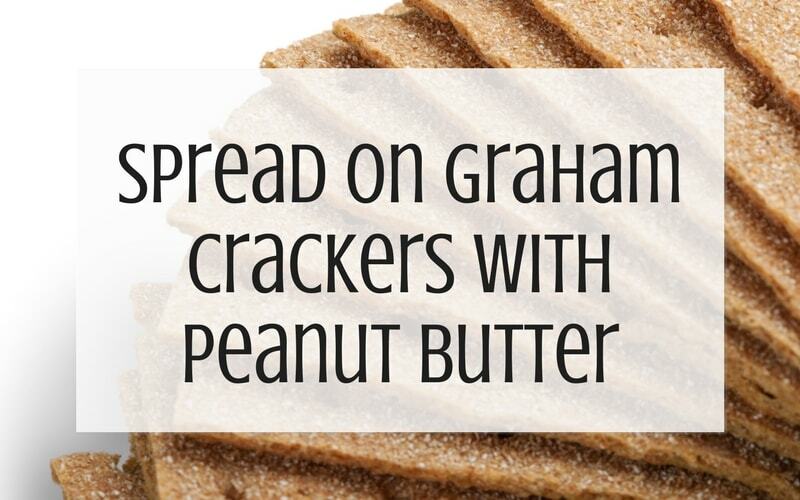 Grab your leftover chocolate buttercream and slather it onto some graham crackers and you’re good to go. If you want to go ALL out, you can add peanut butter on your graham cracker and then drizzle on heated up chocolate buttercream…oh my goodness it’s so good. Yeah I know it would be healthier to just eat fruit by itself and yes it’s still good that way, but sometimes you need a little somethin’ extra. 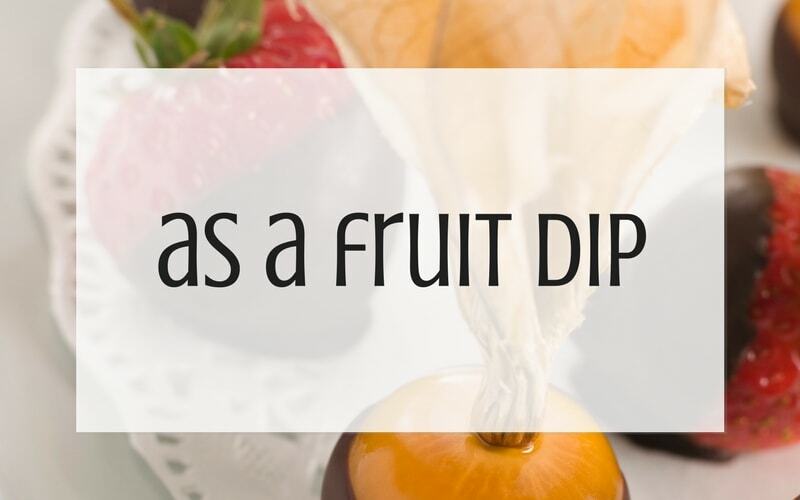 So, use that leftover buttercream as a fruit dip. 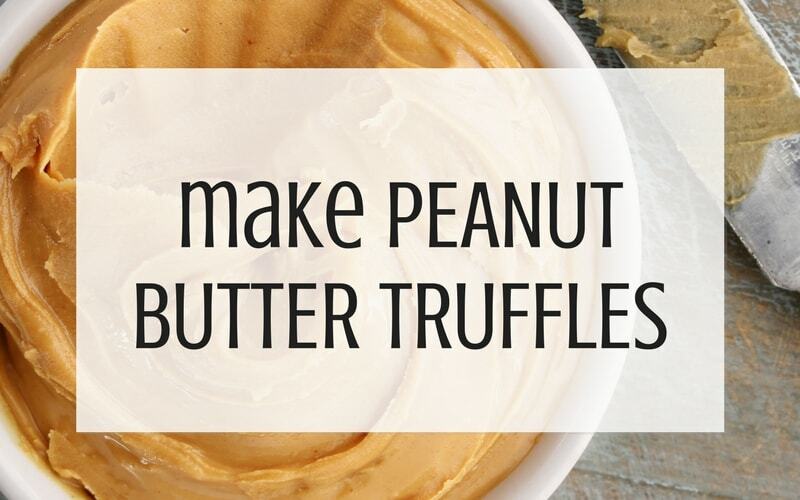 You could even mix it with some marshmallow fluff and dip away. It’s really yummy…just get ready for the sugar rush. Ok, so what do you think? 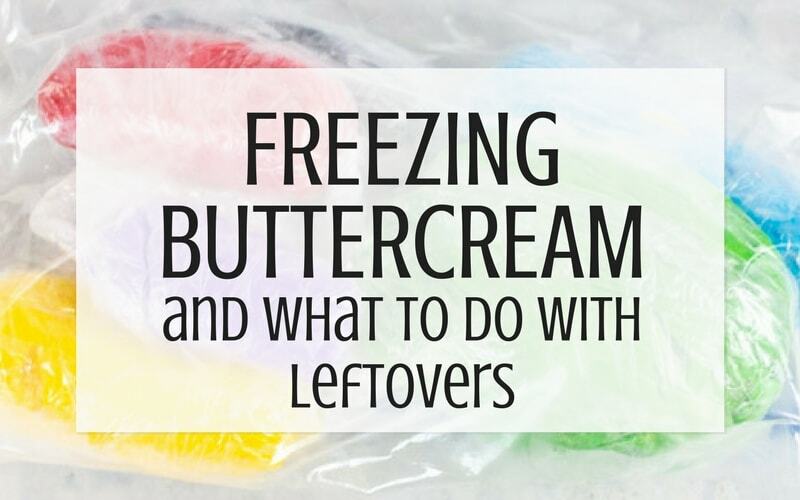 Don’t go throwing away that extra buttercream…now you know how to freeze it and you’ve got some ideas on how to use the leftovers. Or you can always just do what I end up doing half the time and just breaking out a spoon and eating the leftovers straight out of the bowl. OMG…not good. 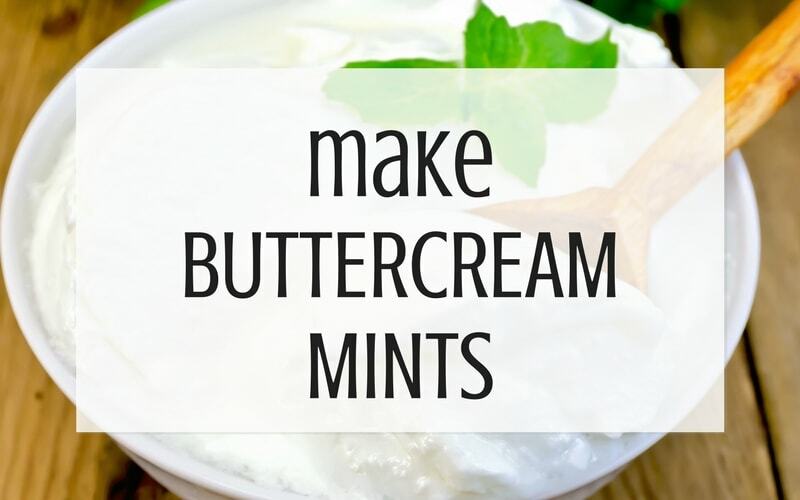 Let me know if you’ve got any more ideas on how to use leftover buttercream. I’d love to hear them! 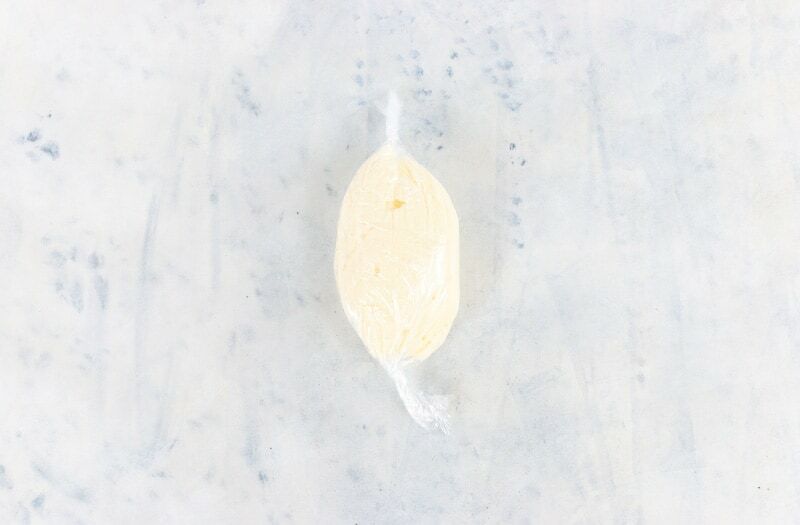 Hi Karen, for the bright white buttercream, I use the clear vanilla extract plus plain butter emulsion as well as the sweet buttery dough emulsion. I like using them all, but if you just want to get just one, the vanilla butter one will work. I’m so glad I stumbled across this on Pinterest! I always have leftover buttercream and it just winds up going to waste. I tried refrigerating it but it would always go bad before I got a chance to use the rest, and I NEVER thought of freezing it. This is perfect! I can make ahead before the holiday season when all those cookies, bars and cakes will start flying through my kitchen! Thank you thank you! P. S. I have added a touch of cinnamon and nutmeg to leftover frosting and drizzled it over pumpkin pancakes or waffles as a treat for the kids. Especially thanksgiving and Christmas mornings! Or used it for stuffed French toast. Because calories don’t count those days. Right? ?